I heard that Bonang Mohale was in Beaufort West recently, beating the same old drum about how much Shell cares for the people of the Karoo. 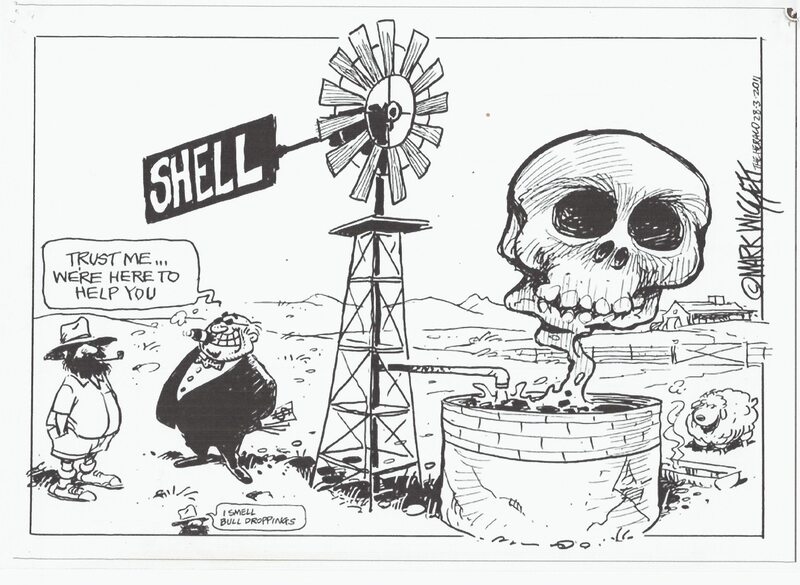 Bonang is the same man who told listeners on SAFM that Shell would leave the Karoo with more water after fracking than there was before … And he almost topped that by claiming in the press that Shell would leave the Karoo better than they found it. Really Bonang? Does Shell guarantee this? « Shell claims twice for the same cost – honest?